Gary Redford was commissioned by HeyHuman to create this fabulous artwork for Glyndebourne. 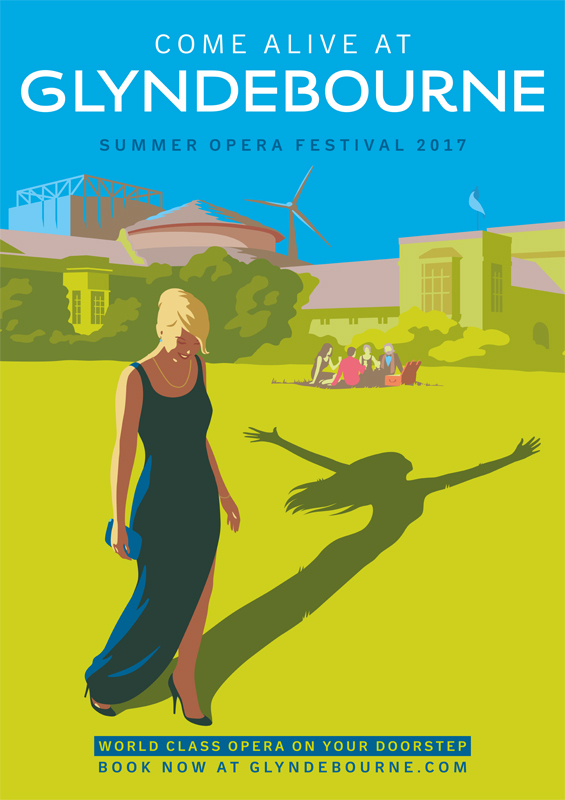 Gary's vibrant illustration was designed to promote the Summer Festival 2017 and reflect Glyndebourne's modern approach to opera. Gary's artwork has been used across outdoor, press and online campaigns. To see more of Gary's work, click here. Gary Redford is represented by Meiklejohn. Published on 5 April 2017.